Find here offers and Evan-moor Educational Publishers coupons. Since 1979, Evan-Moor has been helping children learn. We create materials for the classroom, homeschool, and at-home enrichment materials for children ages 4 – 14 or grades PreK-8th grade. 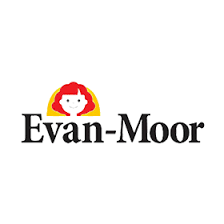 Evan-Moor titles have been used in over one million U.S. classrooms and over 90 countries worldwide. We offer over 400 titles across subject areas including, language arts, reading, writing, math, science, social studies and the arts. Our materials are available in print and digital format, based on the latest standards and educational best practices. Shop now in http://www.evan-moor.com and save money thanks to our vouchers. New Years Sale! Use code NEWYEARS20′ to get 20% off site-wide!